When the January blahs take over and my only form of exercise is lifting noodles to my face, this one-pan recipe checks all the boxes: we’ve got protein, fibre, garlic, pretty greens and plenty of heat. 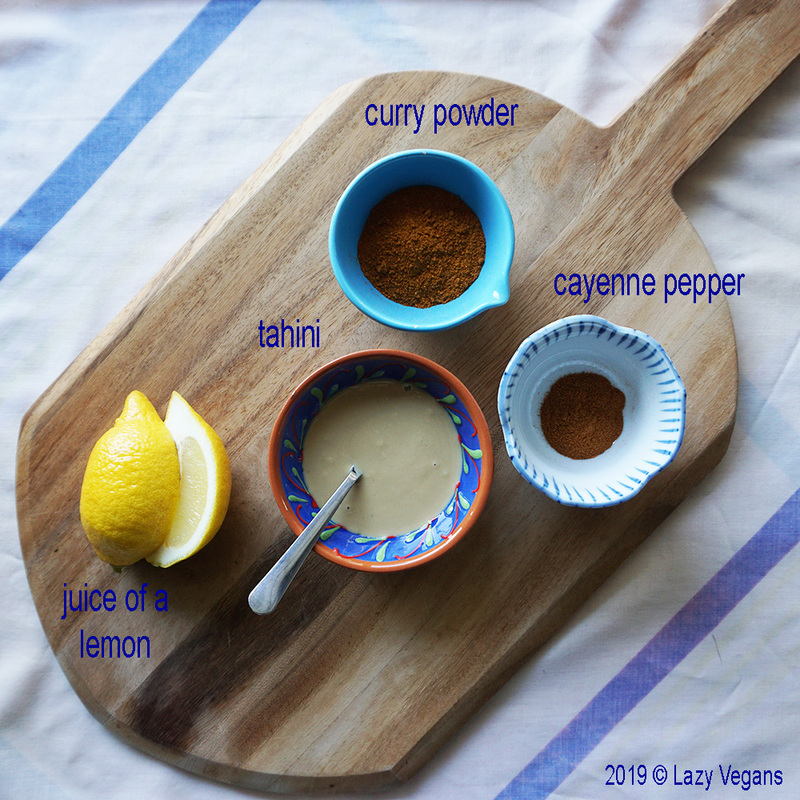 And this five-minute curry tahini sauce is easy to whip up. I found an extra hot curry powder at my bulk food store, and added cayenne pepper for more kick. Sweating not only equals calorie burn, but the fire also seemed to kill my pesky sore throat. The best part is the minimal cleanup after. Optional additions: cauliflower, vegan sausage, cilantro, garam masala spice. *If you use dried chickpeas (which I like to buy in bulk), soak them in water the night before. The next day, bring a large pot of water to a boil and simmer the chickpeas for an hour before roasting them. Preheat the oven to 400 Fahrenheit. Grease a baking pan with coconut oil. 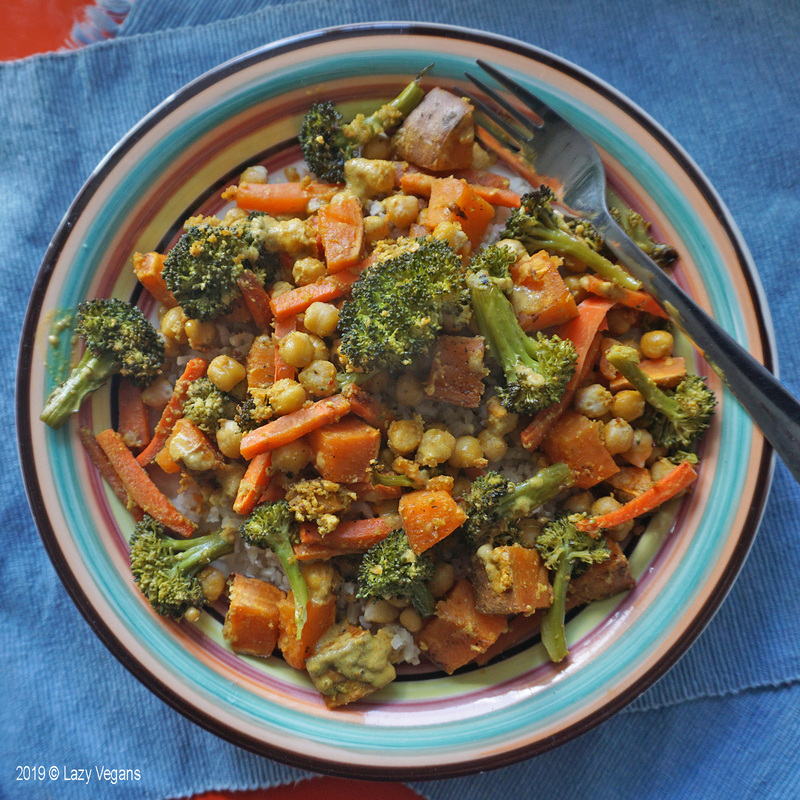 Spread out the broccoli and sweet potato in the pan first. Sprinkle the turmeric, nutmeg, nutritional yeast and red chili flakes. When the oven is ready, roast for 20 to 25 minutes. Take the pan out of the oven. 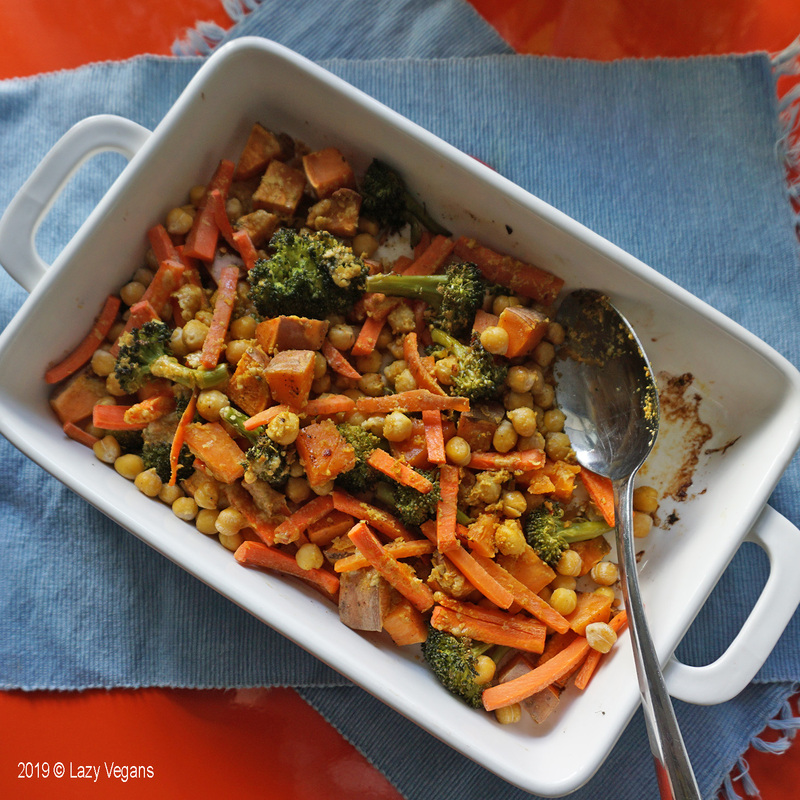 Add the carrots, chickpeas and garlic. Roast for another 20 minutes. Serve alone or on a bed of rice. When I’m feeling really lazy I eat straight out of the pan. 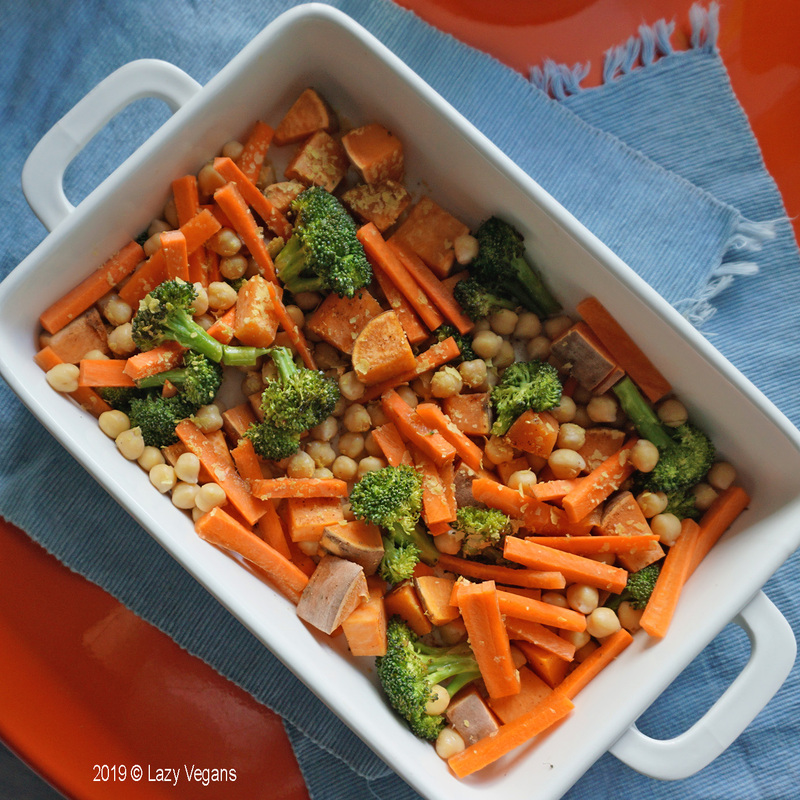 While the veggies are roasting, combine all the ingredients in a bowl. *If you prefer a thicker, creamier sauce, use less water.